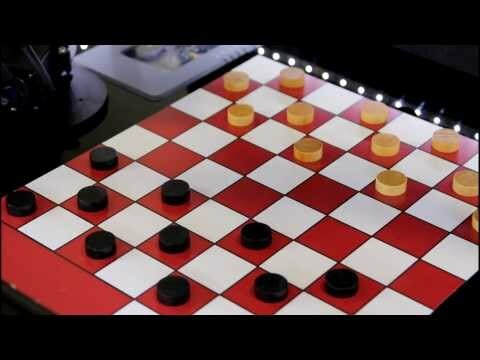 As a multi-disciplinary team of Applications Engineers we have built an autonomous robotic hand capable of playing draughts against a human opponent or itself by integrating several different disciplines such as image processing, machine vision, inverse kinematics, mechatronics and artificial intelligence. This project has been built from scratch and developed in the group of 6 people and by competing to three other teams this development has won the title of the best Applications Engineer Project of 2014. I have led the software development as the Software Manager of this team by delegating work equally to team members according to their core-strengths and interests. Since the software team has been relatively small, I have chosen to approach this challenge through leading by example. Not only I have been overseeing management and logistics, but also by highly contributing to the development myself by developing the C draughts engine integration into the Linux RTOS running on the myRIO embedded device. Moreover I have developed the computer vision algorithms and image recognition/processing approach.